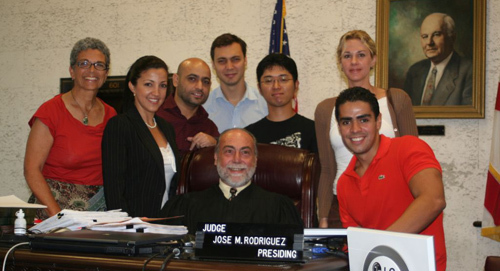 The Intensive English Program at the University of Miami offers a unique opportunity for students planning to enter the University of Miami School of Law LL.M program. This program was developed in collaboration with the University Of Miami School Of Law and will help you develop the language skills necessary to be successful in an American law school. The 48-hr program is specifically designed for international lawyers and students who have been admitted to University of Miami School of Law LL.M program for the coming fall semester. This course is offered during the summer semester prior to the School of Law orientation for LL.M students. READING: Increase and improve knowledge of legal topics and vocabulary while increasing your Legal English fluency, speed, and accuracy in reading. WRITING: Focus on the advanced level research and writing skills vital for success in law school. Improve your writing and research skills by developing, composing, evaluating, editing and analyzing reports and arguments using critical thinking skills. SPEAKING: Sharpen and refine your oral communication skills vital for a successful career in law, such as presentation of arguments and opinion, analysis and expression of ideas, and critical listening.